is currently showing a low level of activity in the United States. Since the strain of influenza that is active (H1N1) is novel, no one knows exactly what will happen next. 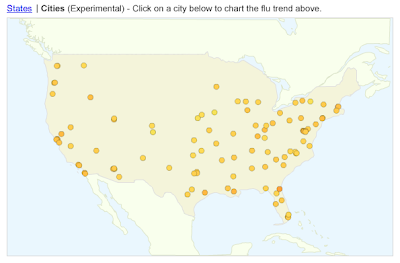 However, the CDC is warning that one possibility is a second spike of flu activity, which is what occured in 1957 when another novel strain of influenza spread in the United States.